Office is the Big Yellow House on Broadway in the center of Trenton. Our mission is to guide people in our community to make the most responsible choices to protect their current assets while providing guidance for a better tomorrow. We strive to meet customer needs by providing remarkable service and demonstrating exceptional knowledge. 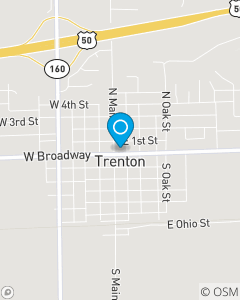 We offer auto, home, life and health insurance products to people in Trenton, New Baden, O'Fallon and surrounding areas. My team is licensed in auto, motorcycle, home, renters, condominium, rental dwellings, business, life, health and disability insurances. Additionally, we offer bank products.